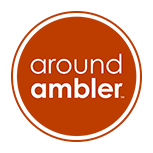 Recently featured in Around Ambler. RISE is a barre and fitness studio in Lower Gwynedd, PA, that offers low impact, high intensity barre classes set to upbeat music in a total body workout format that anyone can do. Love love love!!!! One of the best workouts I have tried in a long time!!! My daughter’s field hockey team did a team-building class and she was HOOKED!! She was back today for the new weekly “teen” class. I can’t wait to try class myself. Great environment and friendly people. Beautiful studio and outstanding instructors! Such a fun way to get an amazing workout. It’s working already. Eating less, exercising more and toning. My clothes fit better already. Awesome!! It’s a great workout. Thank you so much. Your team is great. Keep up the good work! Since having my daughter 3 months ago, RISE has given me my confidence back. I always leave feeling great and every instructor is awesome and works with you to be the best that you can be. I am so glad that I found RISE, I am hooked!